Show Notes from the On The House with The Carey Brothers and Cameron recorded June 23rd, 2018. With summer in full swing, we discuss outdoor design with Dave and Susie Garcia of DPG Design, and fencing and garden structures with European Garden Living! Have an issue determining the lines that make your property, check out a property surveyor! Worried about power outages and how to best be ready for them? We’ve got you covered! David Garcia, has over 30 years of experience in the construction industry and specializes in Landscaping and Hardscaping. He is a licensed Landscape Contractor in California. His design talents can be seen throughout the San Francisco Bay Area and has thousands of installations behind his belt. Dave has appeared on HGTV’s Curb Appeal and his work was featured on the Discovery Channel’s program, Renovation Nation. Susie is Director of Business Development and Marketing. She is a #1 International Best Selling Author, Motivational Speaker and Master Connector . She has appeared on ABC, CBS, and FOX affiliate television stations, NPR affiliate Radio and internet radio. Susie has co-authored 2 books and contributing author for blogs and online magazines including the Huffington Post. 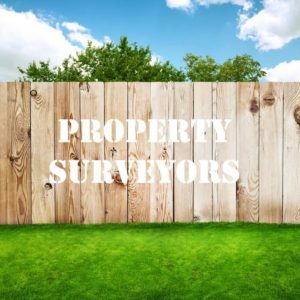 A property survey is usually required by the settlement agent/attorney responsible for closing a property purchase transaction. The agent/attorney must have an accurate survey to issue a title policy which includes survey coverage. This protects the buyer and lender. A survey includes a legal description, property address, and locates all improvements, i.e. home, driveway, sidewalk, fence, and also shows easements for power or gas utilities, or any road access to an adjoining property. Learn how does a survey benefit me, how much does a survey cost, how do you find a surveyor and more here! Rolf Behrsing, the president of European Garden Living, joins James, Morris, and Cameron to talk about enhancing your yard with fencing, garden structures, and garden containers! Learn why clear vision, venting, and a vanity CAN go hand in hand! 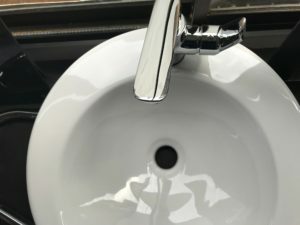 A remodeler wants to put the vanity and sink on the wall below large windows, but the contractor says this causes a problem with venting. Not a problem according to the Carey Brothers and Cameron! Learn more about it over at the Dream Bathroom website and listen to the segment! The tarps and paint tools are best kept tucked away for your next project, but there’s no need to put the painter’s tape away any time soon: That little blue roll of tape can be used all over your home throughout the year, regardless of whether you’re tackling a big project. It can be easily removed without damaging the surface underneath, making it a great pick for minor home updates that require a little planning, organization, and more. Here, seven clever ways to use that roll of painter’s tape that don’t involve a drop of paint. Learn about these tips here! Learn how to protect yourself during a power outage, how to stay safe when a power outage threatens, what to do to prepare, survive, and stay safe here! Learn about our trip to Maine for the American Standard Walk-In Tub Install! Removed the door, the jamb, and the trim, levelled the floor, put new subfloor, tore out old tub, brought in plumber and electrician, two installers – and all of this was completed in just a day and half! “It was just phenomenal,” said Morris. Are you interested in getting an American Standard Walk-In Tub? Have tile? Don’t worry about it! The tub can be retrofitted to an existing finish, or you can take the opportunity to refinish your bathroom! American Standard will even widen the opening of the bathroom door to make it wheelchair friendly. Baseboards are an often-overlooked design detail that, as it turns out, plays a big role in protecting walls and making rooms feel polished. Learn what are baseboards, should baseboards look like the other molding in the room, and what’s the best material for baseboards here!